Baked goods are not a staple of a traditional Chinese diet, but they have been quickly catching up among China’s urban middle class during the past 10 years. The retail value of baked goods like bread, pastries and cakes sold in China has risen to an estimated 7.8 billion renminbi, or $1.2 billion, this year from 3.7 billion renminbi in 2000, according to data from Euromonitor International, a market researcher. Revenue could grow to 11.1 billion renminbi by 2015. Per-capita consumption of bakery products in China stood at 4.1 kilograms, or 9 pounds, in 2009, nearly double the 2.1 kilograms per capita 10 years earlier. This compares with 36.4 kilograms per capita in Britain and 25.4 kilograms per capita in the United States, but the upward trend is in place. “Young Chinese city dwellers influenced by Western culture increasingly favor bread as a morning staple over traditional breakfast foods” like rice porridge, says Anastasia Alieva, a food analyst at Euromonitor. The rising demand, mainly in China’s major cities, has offered great business opportunities for foreign bakery chains, many of which have quickly expanded, gaining ground on large Chinese bakery companies like Christine and Holiland. The South Korean chain Paris Baguette now has 37 stores in China while the Taiwanese chain 85°C Bakery Cafe has about 145. 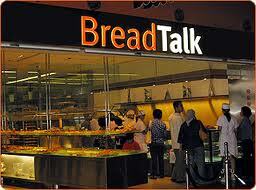 Leading the foreign pack is BreadTalk, a Singapore chain, which opened its first outlet in China in 2003 and now has 170 shops spread mainly across the wealthier coastal cities.